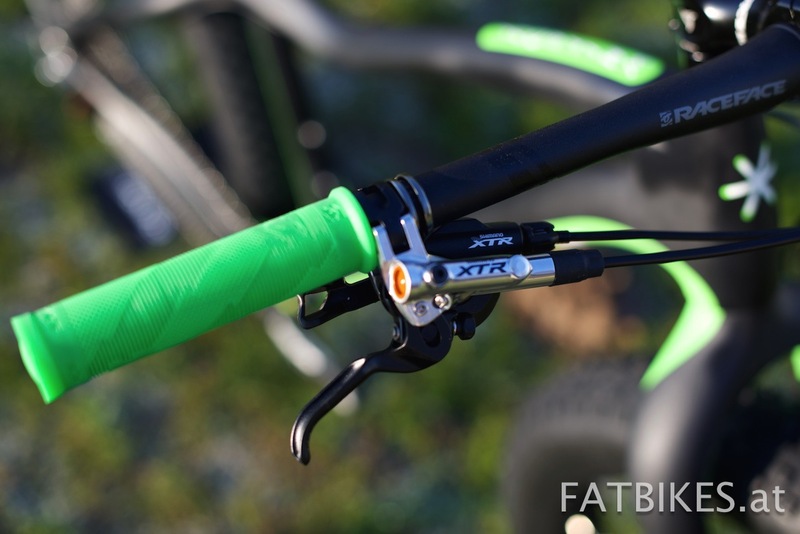 Produktinformationen "9:zero:7 WHITEOUT CARBON Fatbike - 17" Green - XTR 1x1"
Sehr leichtes Carbon Fatbike mit komfortabler Geometrie und top Ausstattung. 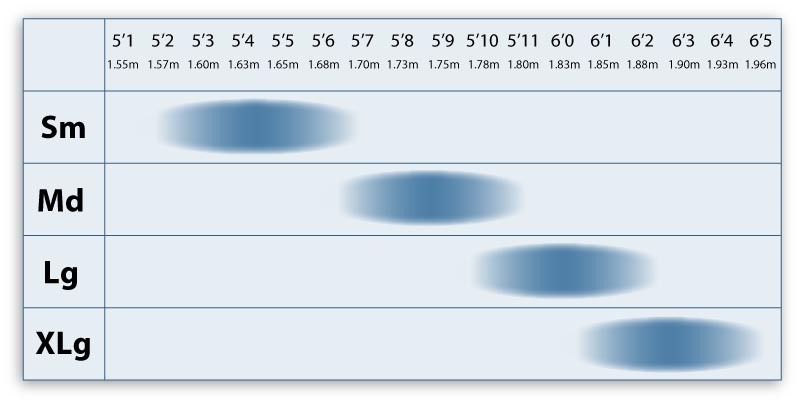 Reifen: Panaracer Fat B Nimble, 26 x 4"
Laufradsatz mit breiteren Felgen kann zusätzlich erworben werden. Rahmen geeignet für Felgen bis 100mm und Reifen bis 4,8"
The bar has been raised! Fatbikes.com is pleased to offer the 9:ZERO:7 Whiteout Carbon Frameset. Not only is the Whiteout a piece of artistic beauty, it is also the pinnacle of technology and performance. Utilizing the same geometry as the race proven 9:ZERO:7 aluminum frames, the Whiteout excels in the most challenging environments on earth. The Whiteout frame uses a 197mm rear dropout spacing to work in conjunction with a 12mm thru-axle 190mm rear hub. This gives unmatched strength and stability. 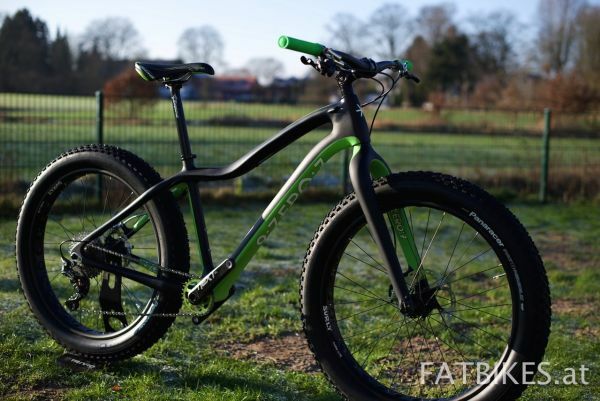 By utilizing 197mm spacing, the Whiteout can be built as either a super light race bike with "narrow" wheels, or a high performance adventure rig with the widest fat bike rims and tires on the planet. The Whiteout frameset is designed in conjunction with the new 9:ZERO:7 190mm hub set. 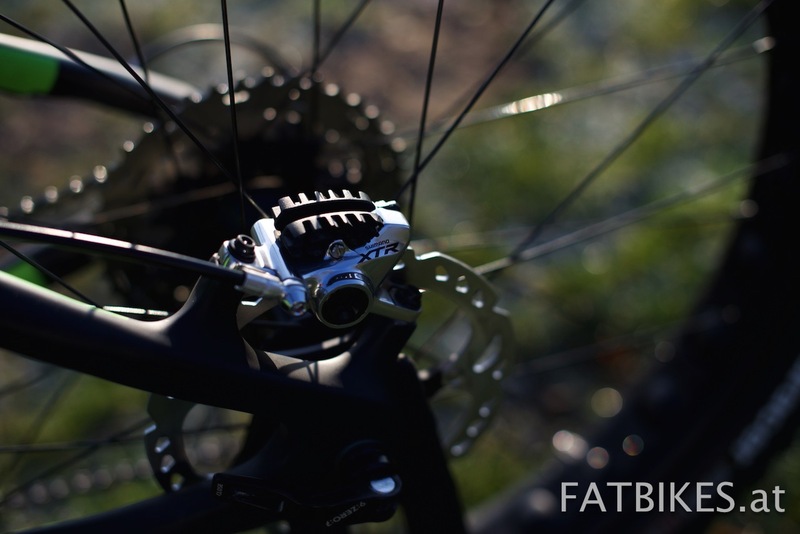 The hub set is completely convertible, so it is compatible with both the aluminum 190mm and carbon 197mm frames. 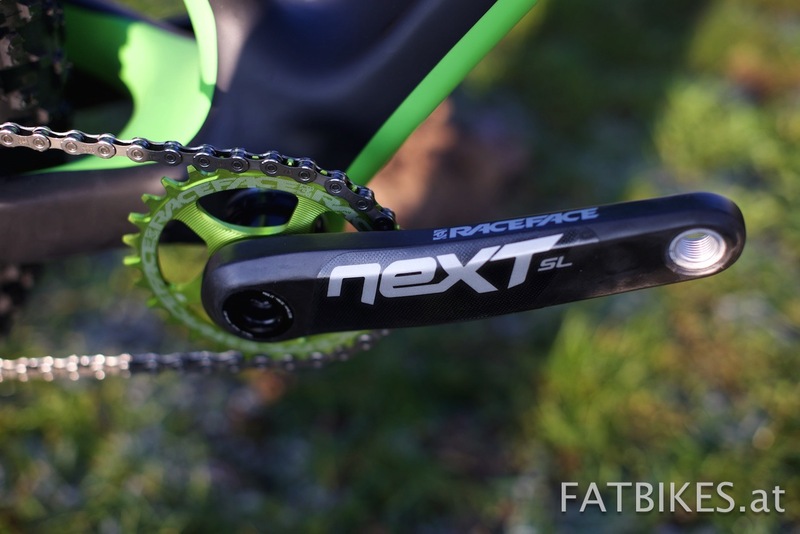 Frame weight is 1340 grams. The matching Whiteout fork weighs 640 grams uncut! 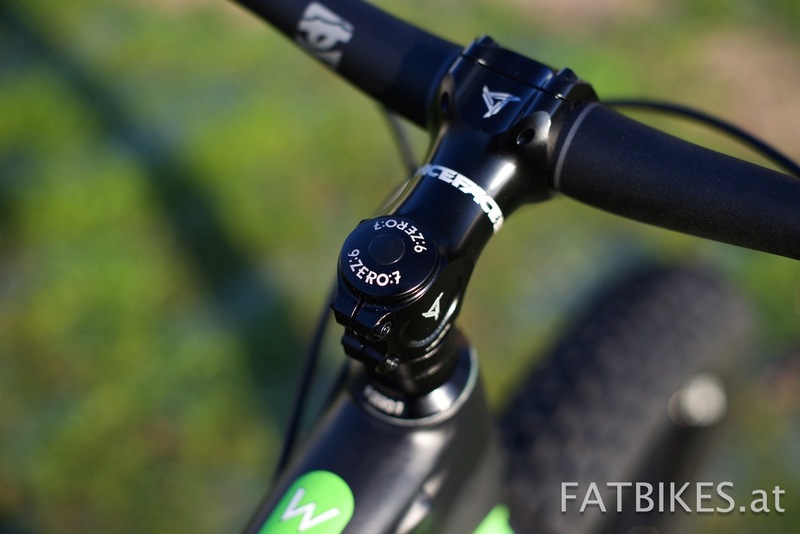 Featuring a tapered steerer tube, the fork includes a 15mm thru-axle dropout. This frame is available in Small, Medium, and Large. Constructed of Toray T700 and T800 carbon fiber. Designed around 100mm rims and 26x5" tires. 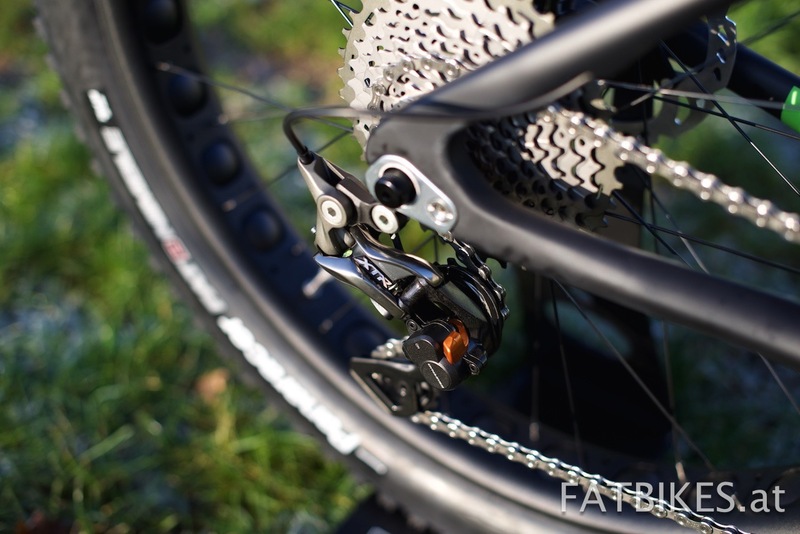 Internal derailleur housing/continuous brake housing. Seat Tube (Center - Top) 15.00"
Weiterführende Links zu "9:zero:7 WHITEOUT CARBON Fatbike - 17" Green - XTR 1x1"
Kundenbewertungen für "9:zero:7 WHITEOUT CARBON Fatbike - 17" Green - XTR 1x1"
Schwalbe Fatbike Schlauch 13J, 26x4,8"